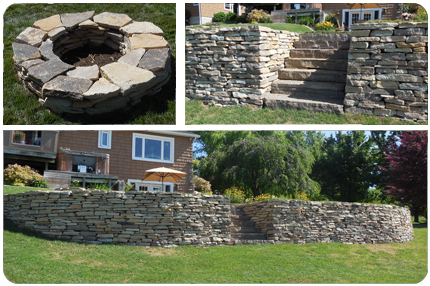 Schuster Landscaping utilizes local quarried stones, concrete or clay pavers. We educate our clients on the materials used in pavers which contribute to the look, durability, color-fastness, water absorption rate, abrasion index and compression factors. With so many choices in pavers, it serves the client well to investigate the unique options that will suit the specific job.